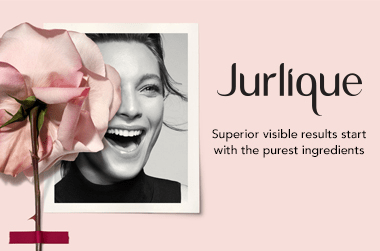 A leader in natural skin care since 1985, Jurlique continues to be a pioneer in the skin care industry. Back at the company’s start, most beauty and skin care products came from a lab. Biochemist Dr. Jurgen Klein and his wife, Ulrike, a botanist, wanted that to change. Believing in the healing power of nature, the Kleins had a vision, one that lives on today in Jurlique. That vision was to craft a range of natural skin care products with ingredients from the land. They set out to combine their knowledge of homeopathy and herbs with their expertise in science and created Jurlique. Having left their native Germany in search of pristine land, the Kleins discovered the Adelaide Hills of South Australia and laid down roots. They established a farm and sowed their plants in the area’s nutrient-dense soil. Combining their two names, the couple launched Jurlique. The Klein farm thrives today, with its pure soil nurturing the finest of ingredients from the earth. These natural ingredients are found in every Jurlique product. What began as a simple dream has turned into a bustling brand sold in 19 countries across the globe. Today, the Jurlique farm is certified biodynamic by the National Association of Sustainable Agriculture in Australia. Jurlique now offers skin care, hair care, bath and body products, baby care, and sun care, all harnessing the power of nature. What are some of Jurlique’s bestselling products? Jurlique crafts some of the finest natural products to leave your skin glowing. One of these is Jurlique Rosewater Balancing Mist. This gentle facial spritz refreshes and revitalises fatigued skin, giving it renewed radiance. Rosewater Balancing Mist contains Rose and Marshmallow to soften and hydrate skin whilst imparting a soothing aroma to calm the senses. Another popular option is Jurlique Calendula Cream. This botanical face moisturiser features soothing Aloe Vera, Evening Primrose, and Avocado to deliver nutrients to the most sensitive skin types. Showing 20 products of 85. Which Jurlique Face Oil is Best for My Skin? I actually LOVE this product! Initially received a sample, and ended up buying one because it was so good. I have super dry skin, particularly around my mouth/nose, and find this really helps. I basically use it like a night cream 2-3 times a week, alternating with my normal night cream, and my face feels super soft and hydrated in the morning. Definitely recommend! I have been using hand cream for a long time, but felt that I needed something to give extra moisturiser that didn't feel greasy or leave a film...step in Jurlique Purely Age-Defying Hand Treatment! It is perfect, I have been using it every night, and my hands feel so soft and look way less crinkly. I would happily recommend using this product. My only downside would be the smell, as I don't find it particularly pleasant - it's not awful, and the results absolutely make up for it.